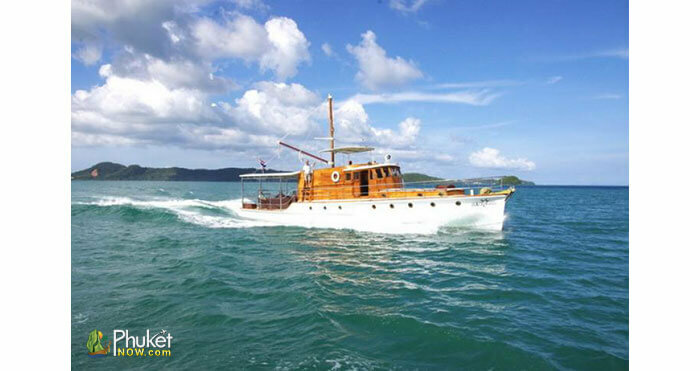 Marie G was built in Singapore for the Royal Air Force and used as the VIP Launch. 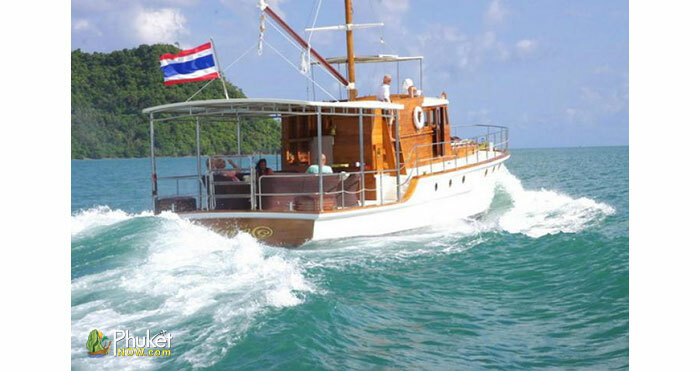 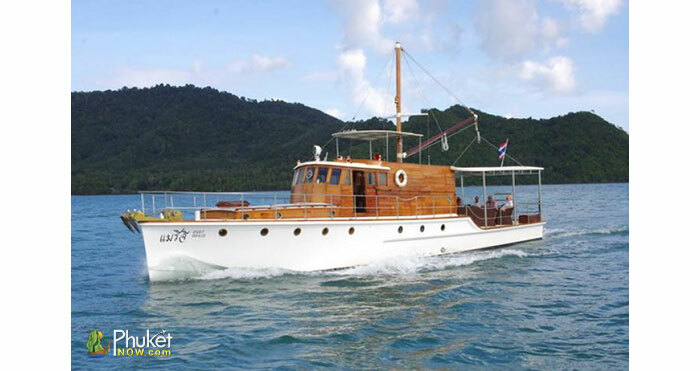 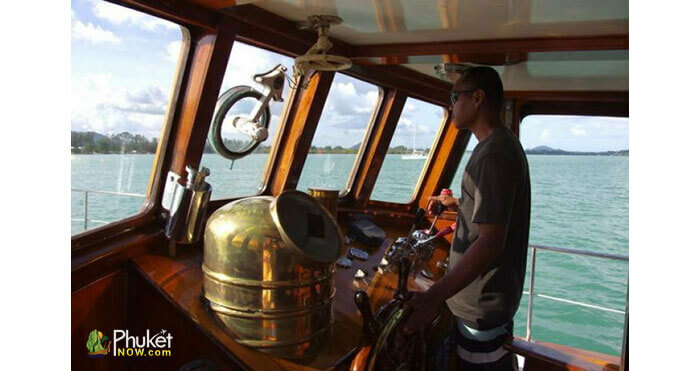 She has provided VIP service to guests in Phuket for the past 20 years and continues in fine tradition with fantastic days out on the water. 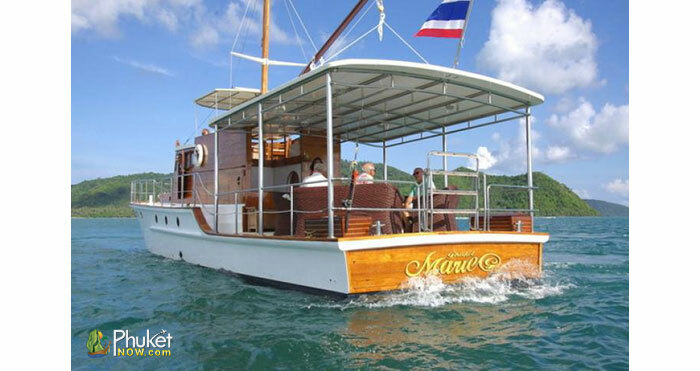 All who board her are amazed at the space, stability and comfort that Marie G provides. 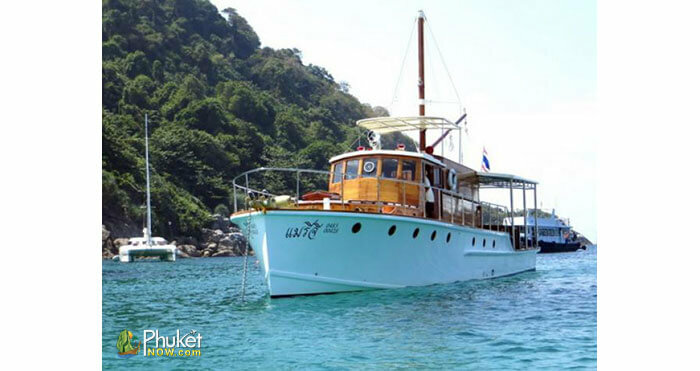 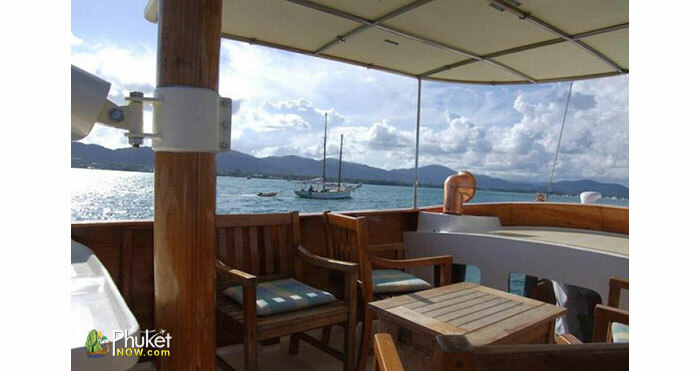 From a unique place for a business meeting to full on SCUBA diving adventures Marie G combines excellent value with great service for a memorable day out in Phuket. 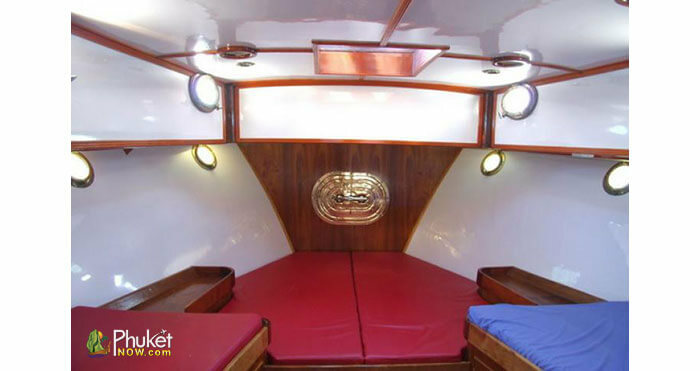 She has great in water and tender to boat access with a specially designed heavy duty boarding ladder. 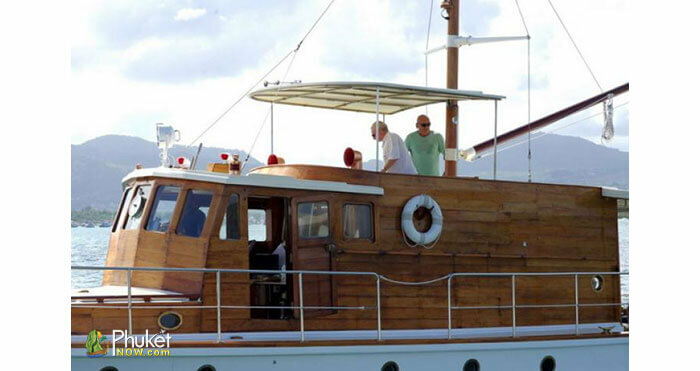 The airy fly deck with comfortable seating and a lounge space provide a great view of the activity below and the expansive forward deck ample opportunity to enjoy the sun. 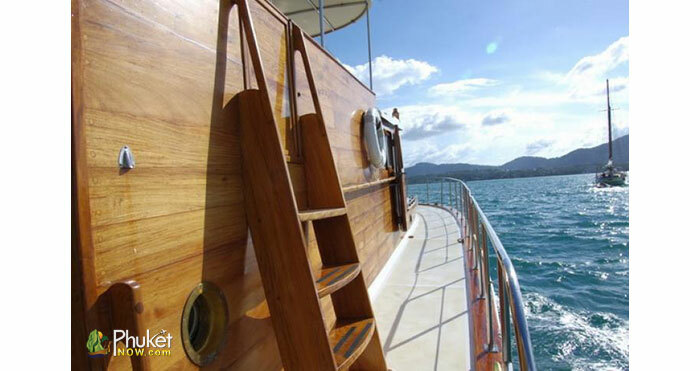 Her huge shaded aft deck provides a great activity platform safe from the elements.